Welcome to OVERDRIVE 192 - the alternative service from Golden Radio International. Do you remember Radio Caroline in 1986-1987 when Tom Anderson launched Caroline Overdrive on the 963 kHz frequency after the Dutch station Radio Monique closed down for the evening? Overdrive carried a wide selection of "alternative" music, the only apparent rule being that it should provide an alternative to Caroline's main programming on 558 kHz. The presentation was uncluttered, with a minimum of DJ chatter and few jingles. The service had been described as being similar to a John Peel show except that it ran all night. Tracks were played from Emerson, Lake & Palmer; Yes; Pink Floyd; King Crimson; Genesis; Jethro Tull; Grateful Dead and Soft Machine to name but a few, resulting in some ground breaking radio and launching Progressive Rock to the masses. 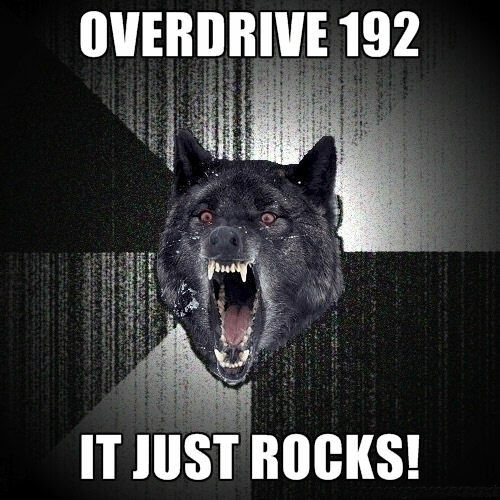 OVERDRIVE 192 will try to re-create these exciting days by specialising in Progressive Rock and Alternative Rock, with music from new unsigned artists with their own original material. Our name? "OVERDRIVE" - obviously from the original Caroline Overdrive and used as a tribute to that wonderful service. "192" - no, not the wavelength, although that number was very significant in the world of offshore radio. This time it refers to the bit rate we broadcast at - 192 kbps in stereo. New shows will appear weekly every weekend.